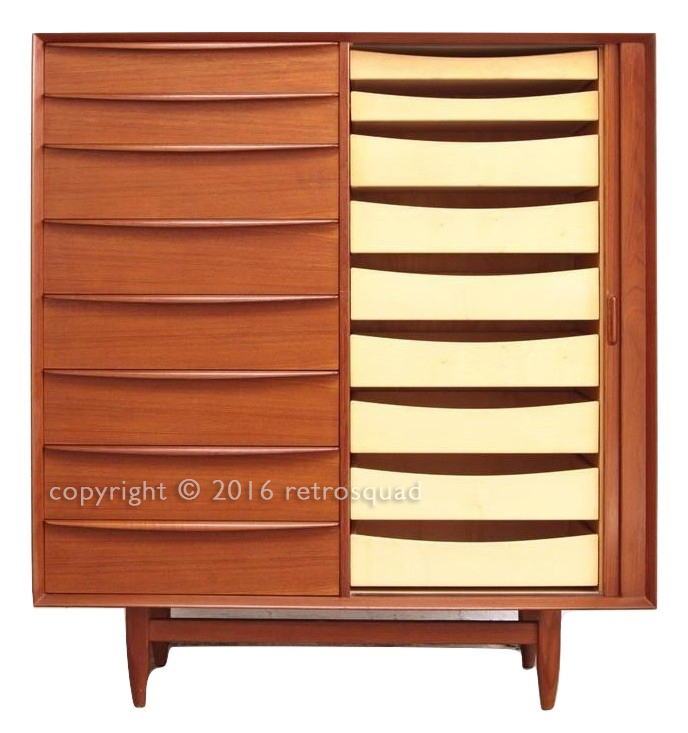 This is an outstanding high quality Danish Modern dresser / gentleman’s chest, designed by Svend A Madsen for Falster in Denmark. 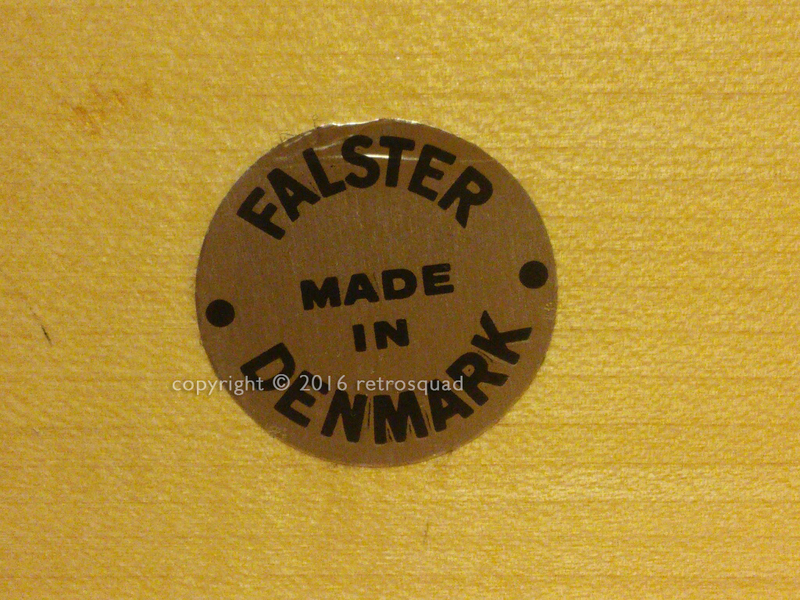 If you are not familiar with the high quality cabinet work done by Falster please do some web research. 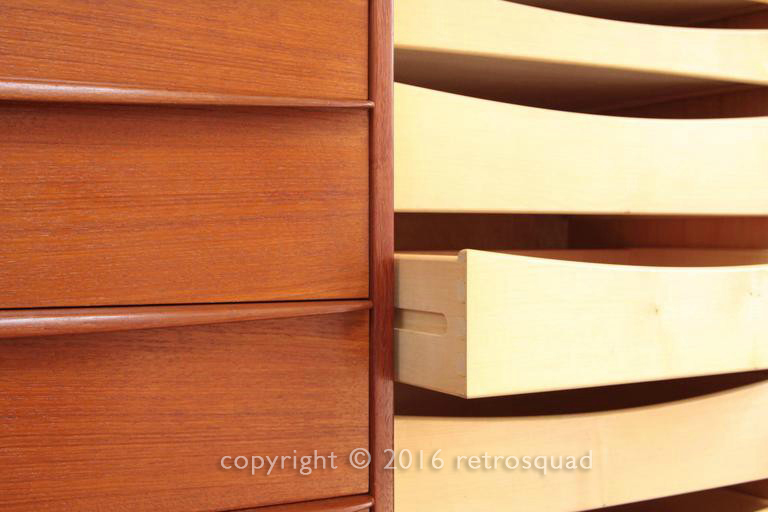 Falster is a very well respected company that produced high end products featuring dovetailed joints and very solid construction. 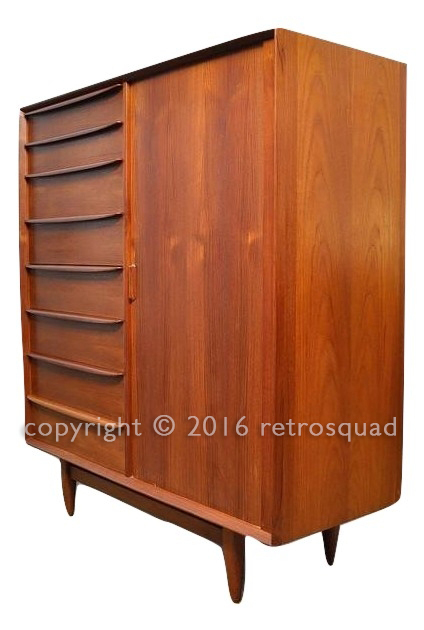 This example of their work designed by Svend Madsen is exceptionally nice and comes to you in nearly perfect “MINT” condition. This is exceptional Manhattan quality at eBay prices. 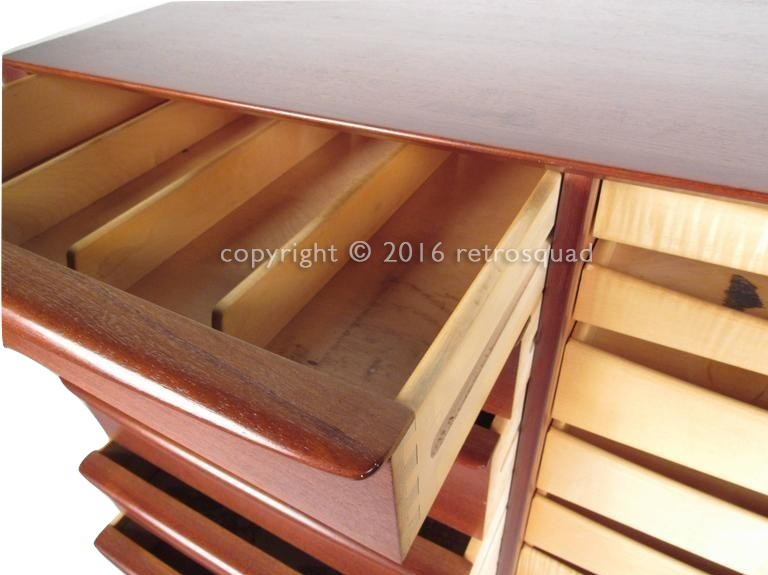 You will certainly get many complements on this spotless and very well made piece. 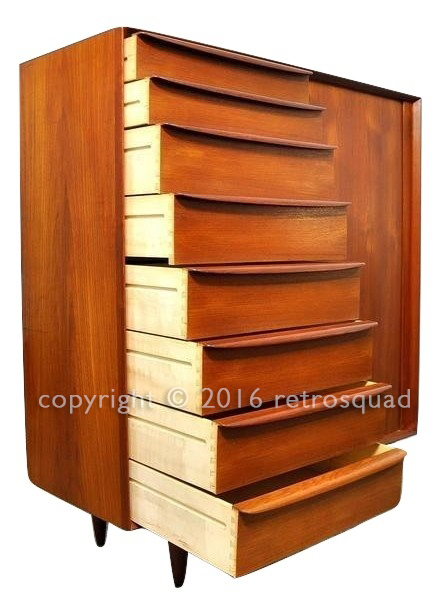 This great vintage item that features dovetailed drawers, tambour door, solid construction and a fully finished back. 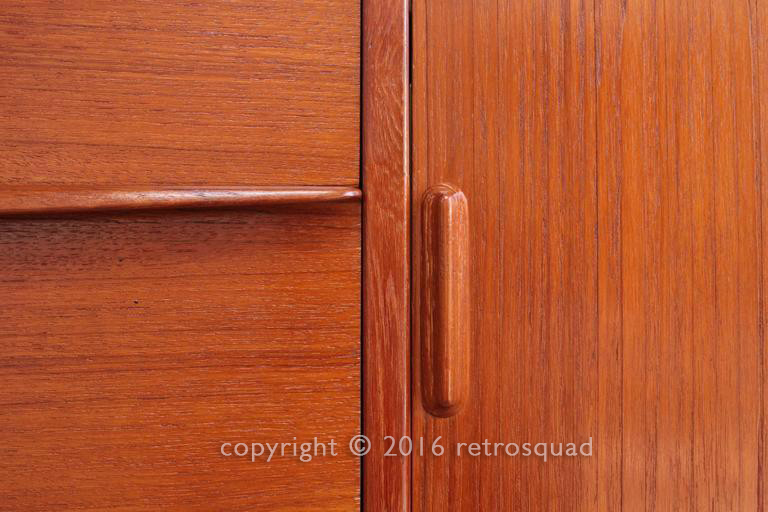 The dresser / gentleman’s chest is from the original owner’s estate and was in a guest room that got very little use. 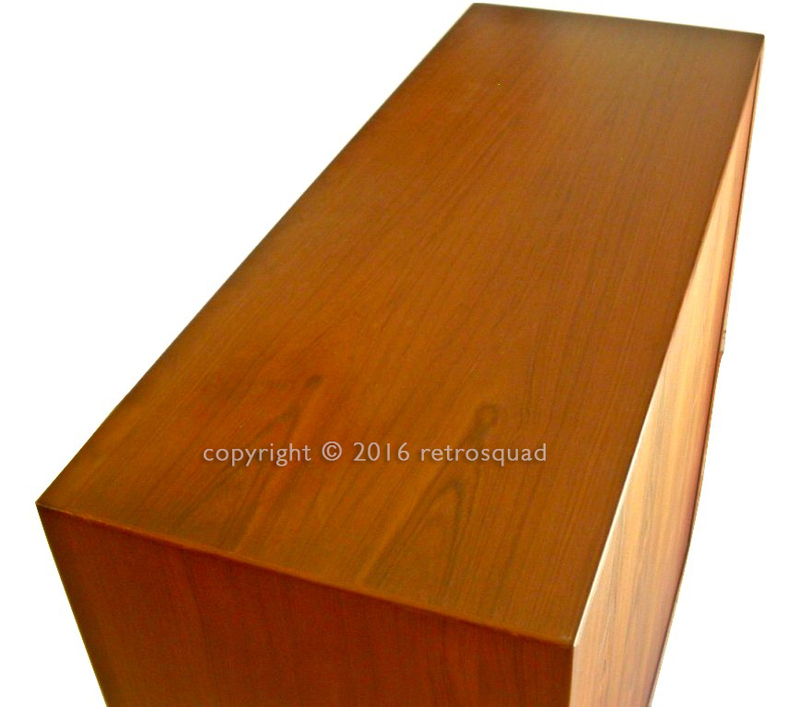 It is a wonderfully constructed piece in nearly perfect condition with absolutely NO CHIPS, GOUGES, BURN MARKS, DENTS or other issues . The piece offers great versatility and features a huge amount of storage space on a SMALL FOOTPRINT. 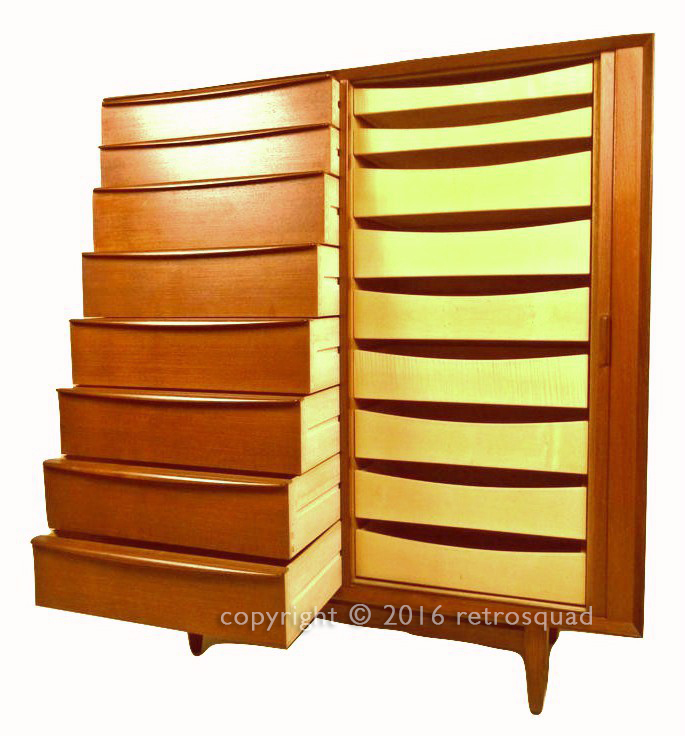 You will find eight drawers on the left and a smooth sliding tambour door to the right. 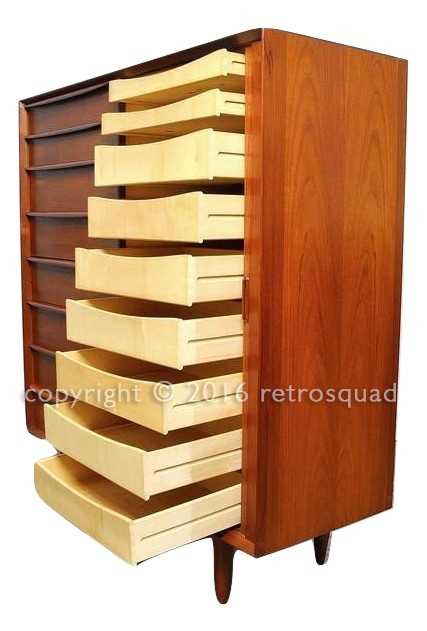 Sliding the tambour door open reveals nine trays. These trays are great for sox, belts and ties, or other small items. 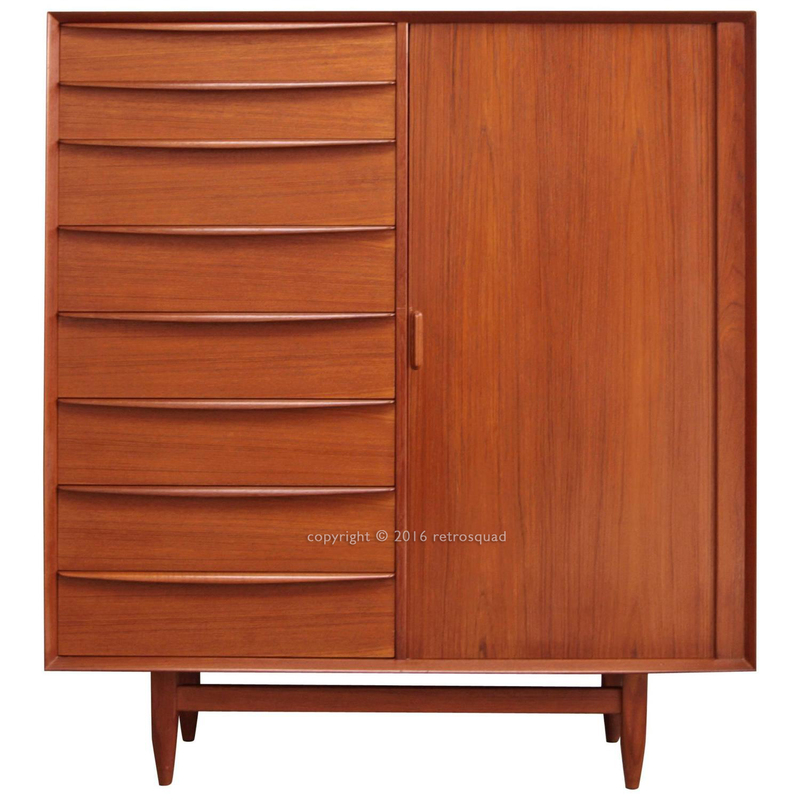 It is an exceptionally designed and practical dresser / credenza that will make a great modern statement in any bedroom. CONDITION: VERY VERY nice and nearly perfect. No marks, damage or imperfections of any kind. Visit RETROSQUAD ebay store here. 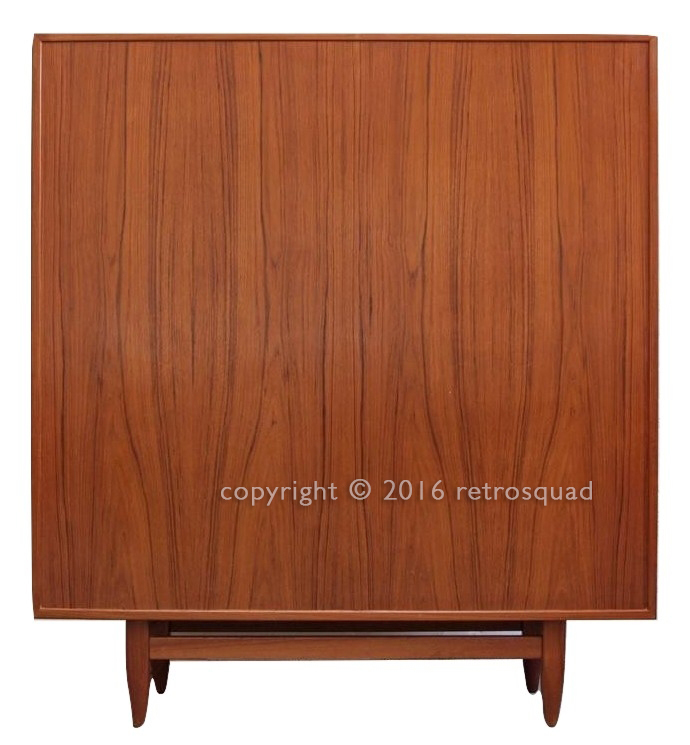 This entry was posted in Chest, Designers, Dresser, Falster, Furniture, Manufacturers, Svend A Madsen and tagged Danish Modern, Dresser, Gentlemen's Chest, Teak by RetroSquad. Bookmark the permalink.